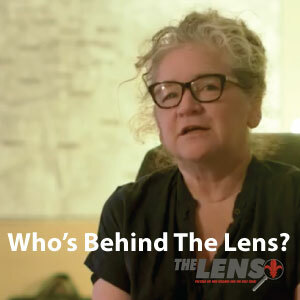 Tom Gogola covered criminal justice for The Lens from February 2012 to May 2013. He is a veteran journalist and editor who has written on a range of subjects for many publications, including Newsday, New York, The Nation, and Maxim. Gogola was a 2011 winner of the Hillman Foundation Sidney Award, for his groundbreaking report in New York magazine detailing regulatory waste in the commercial fishing industry. If the sides can’t agree, a judge will award the contract, worth at least $7 million. About 250 times a day, a New Orleans police officer calls the 911 center to check in for a “paid detail” assignment — a private security job paying up to $39 an hour. Meanwhile, some people calling 911 wait so long for an answer, they hang up before reaching anyone. Cutbacks in public defenders office means defense lawyers often don’t make it to hearings. So far Lauren Hightower has not been charged with any crime, though she admitted taking money from the school. A committee meets at noon to choose between Hillard Heintze and SheppardMullin. The feds have a favorite and so does Mayor Landrieu. Can they find common ground? Gusman says he signed the consent decree after the city refused his 2013 request for an extra $15 million. Deputy mayor and judge clash over whether the city was included in consent decree negotiations. Jail security is a study in “total dysfunction,” testified expert witness Manuel Romero. On Wednesday, testimony concerned the city’s involvement in the negotiations over the consent decree and conditions in the mental health unit. Sheriff Marlin Gusman will testify Thursday morning.